You’ve worked tirelessly at perfecting your craft and now you’re untouchable when it comes to creating incredible styles and head-turning looks. To prove it, you’ve rented a great-looking property in a prime location, sent eye-catching flyers far and wide and told anyone who’ll listen that your salon is ready to take on the world. …a ball of tumbleweed ambles by like something out of a movie. 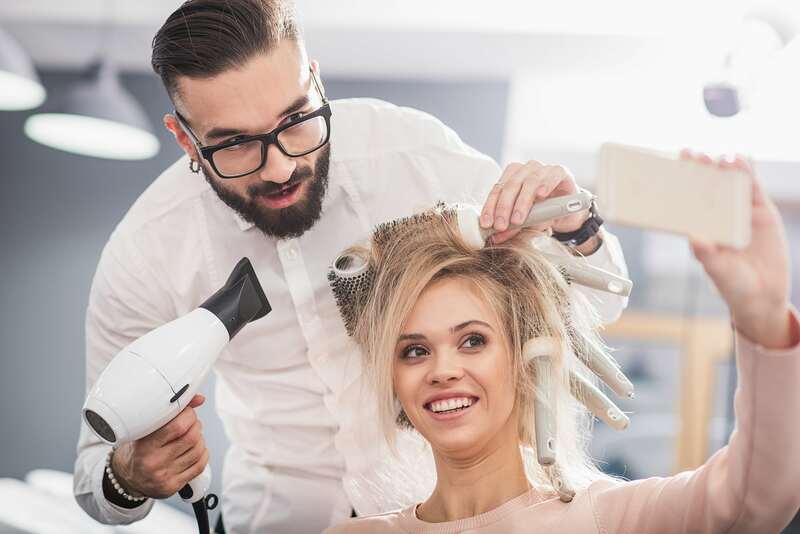 Sure, the occasional client pops by to check you out and sure, you can always rely on your mum sending a couple of her friends your way, but let’s face facts: your salon business isn’t exactly taking off as well as you hoped it would, is it? The truth is that running a business is tough in any market. Getting people through the door in the first place is a challenge in itself, but making enough sales to really consider yourself a success? That can seem almost impossible. Ready for the good news? With simple tips, tricks, and techniques, increasing footfall and maximising your sales can be easier than you ever thought. Today, we got Salon Gold’s top sales and marketing bods together in one room and asked them for their top secrets on how to make your salon the roaring success you always knew it could be. You already know how important it is to make a good first impression. It’s the very reason you have your friendliest, most welcoming member of staff waiting to greet customers when they arrive. It’s also the reason you’ve spared no expense on creating a stunning interior design that really makes your salon feel special. So far, so good, but there’s something you can’t afford to forget: customers form their first impression of your business long before they walk through the door. Your shopfront is going to be the first thing most people see, so be sure to make it a shopfront that’s too irresistible to walk past. Put an ad board outside your salon with enticing offers (don’t forget to check if you need permission first! ), make the design of your store one that not only catches people’s attention but that also speaks volumes about the style and quality of your service. Don’t underestimate the power of a good window display either. You might consider creating attractive window displays based on a particular theme, such as a winter wonderland scene in December or an Easter display as the spring months roll around. Create something that compels people to come closer for a better look and maybe to pop in and compliment you on your beautiful displays. Once they’re through the door, that’s your chance to tell them about your latest offers and invite them to book an appointment. Those one-off customers are all well and good, but if you’re going to consistently make better and better sales then customer loyalty is where it’s at. You need to be looking at ways that you can keep those customers coming back to you time and time again. What better way to do that than to make your salon a place where people absolutely love spending their time. Consider complimentary refreshments, exquisitely comfortable seating, and anything else you can think of to turn a visit to your salon into the ultimate luxury experience. 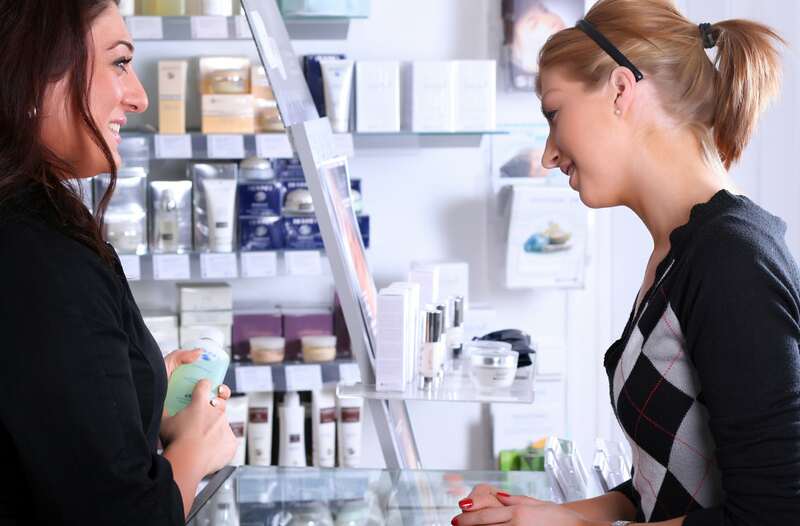 Upselling is a tried and tested sales technique used to persuade a customer to spend more money by purchasing upgrades, additional services or deluxe version of the product or service they originally chose. It’s the kind of thing you see when you go to book a bog-standard hotel room but get drawn into spending £25 more to get the premium suite with the fancier bed and the free Prosseco. You go for one thing, but because the hotel has got it’s upselling all figured out, you find the temptation to upgrade too difficult to resist. This can easily work in your salon, too. You could, for example, combine different services into special packages, so that if someone comes in for a basic styling but sees they can also get beauty treatments for only a little extra, they’re tempted to upgrade to a more expensive package. 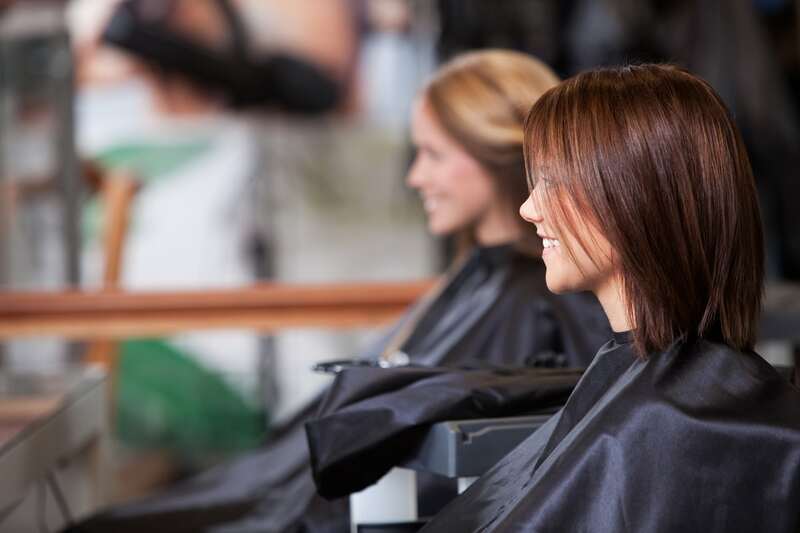 Play around with some different ideas and experiment with upselling in your salon. If you’re not sure where to begin, this helpful beginner’s guide to upselling from Forbes may come in handy. The reason most shops stock products right near the till isn’t because they don’t have anywhere else to put them. It’s because they really work in encouraging those last-minute impulse buys. The customer is already at the till. 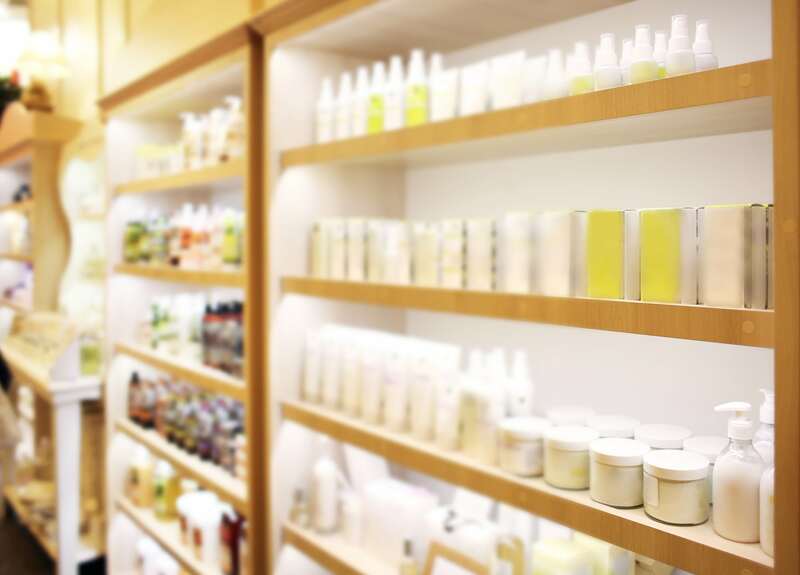 They’re already set to spend some money anyway, so when they see those styling products in that attractive display, they’re more likely to pick one up. If you don’t already sell products through your salon, now is a great time to think about doing so in order to increase sales. Whether it’s your local coffee shop or that enormous out-of-town supermarket, all kinds of businesses are using loyalty schemes to keep their customers coming back time and time again. So there’s no reason why you can’t use one to ensure your customers keep coming through the door and spending money. Perhaps you could run a programme like the ones you find in supermarkets, where for every pound your customers spend they get points that they can redeem for services or products down the line? Or how about for every 10th visit they get a free treatment in addition to the one they normally pay for. Having followed our recent guide to salon marketing, you’ll already be up and running on social media platforms like Facebook and Instagram. You may even have your own website set up, and possibly even a YouTube channel. Now’s the time to use those tools to show people what they’re missing by not visiting your salon. Show them the unique styles that only you offer or the exclusive products they can’t get anywhere else. Create short videos that demonstrate the kind of luxury experience you offer, or that otherwise show off what is that makes your salon different than the rest. Word-of-mouth can be a very powerful tool for getting new customers through the door. It can be even more powerful if your existing customers have an added incentive to tell their friends and family about the wonderful service you offer. Run a programme through which you offer customers 10% off their next appointment every time they recommend a friend who books an appointment with you, or create a prize draw in which every customer who leaves a review on your Facebook page is entered to win a free treatment. What challenges have you faced when it comes to bringing in customers or making sales? 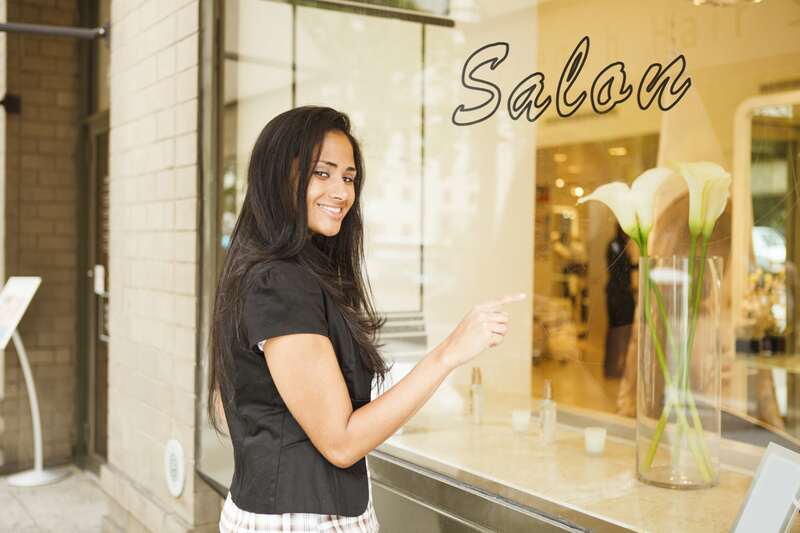 Let us know in the comments section or share your top salon sales and marketing tips with us on Facebook or Twitter.